Heinrich Schütz (1585-1672) incorporated the musical style of Giovanni Gabrieli, with whom he studied in Venice, into the Lutheran church music he wrote in Dresden. 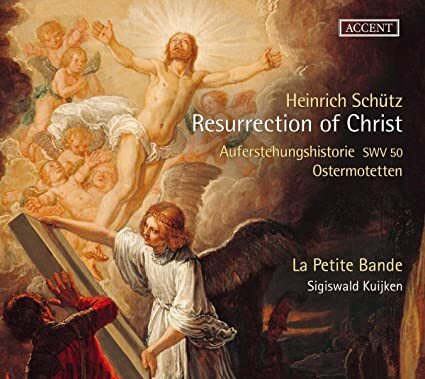 Sigiswald Kuijken and La Petite Bande have released this charming selection of the composer's Easter-themed music cleverly in coordination with that feast this year. The pieces, four shorter motets and a longer Easter Oratorio, show the ingenious ways that Schütz turned the concerto style to his advantage. In Weib, was weinest du?, the Easter dialogue between Mary Magdalen and the risen Christ, the four voices provide a multiphonic dialogue of the two interlocutors, layered on top of one another. At the moment of recognition ("Maria! -- Rabboni! "), Schütz uses unexpected harmonic progressions to underscore Mary's surprise. For some reason Kuijken omits the Christ ist erstanden von dem Tod, Martin Luther's Easter hymn, which Schütz appended to the motet. Schütz uses Gabrieli's cori spezzati texture, two SATB choruses played off one another, in Singet dem Herrn and in the shorter Ich bin die Auferstehung, with its emphasis on the word "nimmermehr" (whoever believes in me shall never die) through contrapuntal iteration. In Ich weiß, daß mein Erlöser lebt, dance rhythms percolate through the seven-voice texture. The longer Easter Oratorio provided Bach with part of the blueprint for his longer Passions, with the tenor Evangelist's narration accompanied by three violas da gamba, for example. 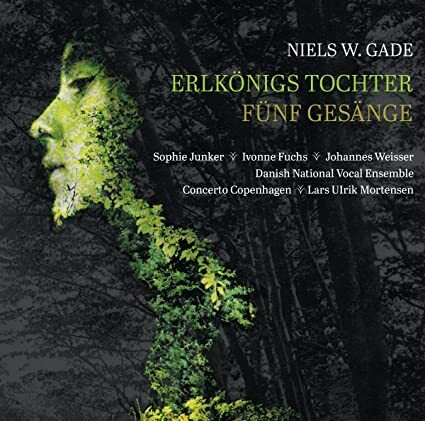 This piece is drier in style than the more focused motets, with long stretches of recitative for the Evangelist and little snippets for the other characters, often portrayed by two or three voices together. Kuijken and his organist, Mario Sarecchia, provide most of the continuo realization with simplicity. A tight ensemble of singers handles the vocal pieces, one to a part, with only some overly nasal tone in the tenors to spark minor complaint. Galant music – the musical period into which Bach’s sons fall – has a reputation of being empty frills and noodling excess: the tedious bridge between the blissful baroque and classical period. That’s partly because of our lack of familiarly with the style. Alas, the proposition to become familiar with the style, presumably consisting of spending endless hours over the course of years with that music, doesn’t seem a particularly appealing solution to the problem, either. 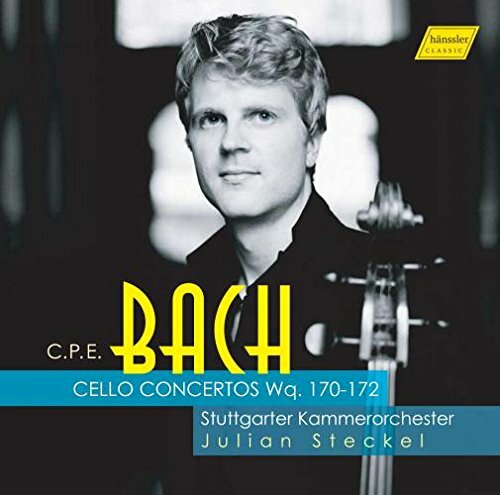 Unless, of course, one gets to hear works like these CPE Bach Cello Concertos! ARD Music Competition Winner Julian Steckel presents them masterfully, in very lively and sensitive dialogue with the responsive, quick-fire Stuttgart Chamber Orchestra. The A-minor concerto especially has a somber tone that even pre-shadows the romantic cello concertos to come. When it comes like this, Gallant music does, why then everyone should be happy to better get acquainted with the style. Rachel Podger Plays Bach’s—Wait For It—Cello Suites!